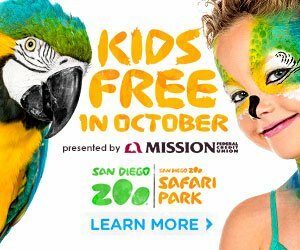 Kids Free San Diego this October! From their website: During the month-long celebration, your little ones will be treated like royalty with free admission to attractions, meals on the house and tons of other great perks throughout the city. With over 100 offers and warm fall weather without summer crowds, big fun is in store for kids with savings that parents will love. 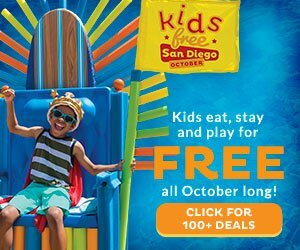 Explore below and plan your perfect quest to the Kid Kingdom of San Diego this October. AND deals at waterparks, for city passes and museums!